Custom Stickers are such a universal sight in the modern world that we more or less take them for granted. They have a multitude of uses, from marketing materials to political propaganda to children’s pastime, yet hardly any of us stop to wonder about the origin of this ingenious invention. Over the centuries, various devices have appeared that we might now think of as stickers. Different schools of thought wage war over who came up with the first true sticker, but what does seem pretty clear is that the idea started as a commercial endeavour. Some say the history even dates back as far as ancient Egyptian times. Archaeological excavations have turned up pieces of papyrus, which appear to list the prices of various items of produce, and these were stuck to the walls of markets using some sort of plaster or glue. Next, we come to other marketplaces later on in history – those of the great European cities during the mid-18th century. Competition between traders in these claustrophobic spaces was extremely high, and many vendors found themselves hoarse from shouting louder than their rivals. A solution was devised in the form of brightly coloured labels that were stuck onto otherwise drab crates, to catch the attention of potential buyers. The labels were made of simple paper that was attached to the crates using a kind of gum paste. 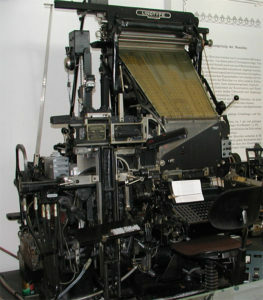 It is thought that the word “sticker” originated here. They first showed up on fruit crates, then on cigar cases, jars of sweets and all sorts of other merchandise. Of course, labels showing the manufacturer logo still turn up on things like bananas to this day. Another early sticker was the humble postage stamp, which first appeared in 1839. The inventor Sir Rowland Hill came up with a paste which could be stuck down when it was moistened by licking. A simple idea which revolutionised the world of trade and communication forever more. These days, stamps often no longer have the requirement of licking – they are the same as stickers as we know them today, which we will come to next. Now, of course, most businesses use PPI Labels to save time and ensure they are never without postage stamps! 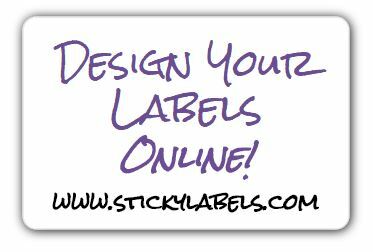 In 1935, R Stanton Avery invented the process which defined the modern meaning of stickers. He designed a machine that put self-adhesive labels onto a paper backing treated with silicone, so they could be peeled off and reapplied elsewhere. Since then, the use of stickers has exploded. They are extremely popular with children, who put them on lunch boxes, notebooks, windows, furniture and anywhere else they can think of, and some build up massive collections. They often feature popular cartoon characters and there have been such crazes as scratch N sniff and hologram stickers, where the image changes depending on the angle from which you are looking at it. Sticker books combined with stories, where children can add the characters themselves to define the plotline, make hugely popular presents. Then there is the ubiquity of the sticker as a marketing item. This was how they started, and nowadays the principle of using them to entice consumers to a product is stronger than ever. They are very often seen on merchandise to display prices, provide more information about an item, or to advertise special offers such as 3 for 2. Along with our good old friend the stamp, other kinds of stickers are massively used in the postal service. 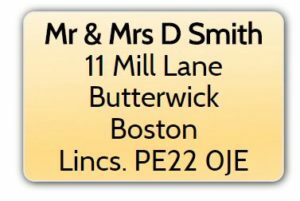 Address labels are a boon for businesses who need a quick way to send out vast quantities of stock. Then there are those stating that an item or piece of luggage is fragile or should be kept the right way up. Things like this can be bought by the roll for ease of use. Stickers showing a company’s logo are a very common sight and you can get sheets full of them. 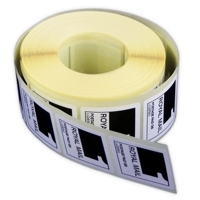 You can also get labels that you can print yourself with any inkjet printer, with waterproof varieties also available. Bumper stickers, made out of more hardwearing material, are also a familiar sight around the world. They can be used to show the country a car comes from or to advertise a particular political affiliation or show your support for a certain charity. And then you have the world of racing cars, which are often plastered with advertising, a car’s number, or things like go-faster stripes or flames. Who hasn’t used those little sticky notes that you can scribble reminders or messages on and leave attached to virtually anywhere, like monitors, fridges or desks? Most modern offices would grind to a halt without this key communication item. All in all, we should be very thankful to those early, canny entrepreneurs who came up with the first prototype stickers. We might well get stuck ourselves if we didn’t have these little things to help us manage our day-to-day lives.